Leo Varadkar’s rise to the office of Taoiseach is a remarkable tale from any perspective, taking in personal struggle and political intrigue. The son of an Indian immigrant, this outspoken young politician came out as gay amid the full glare of Ireland’s media, before orchestrating a secret two-year campaign to become leader of the country. Along the way, he put his political career on the line to defend police whistleblowers and survived an internal party purge after backing the loser in a failed leadership heave against Fine Gael leader Enda Kenny. Now, in this first full-length biography, journalists Philip Ryan and Niall O’Connor provide the definitive account of the most talked-about Irish politician in decades. Family, friends and colleagues have provided exclusive behind-the-scenes detail on Varadkar’s meteoric rise to power, painting an intimate portrait of the man shaping Ireland’s future. Leo Varadkar: A Very Modern Taoiseach offers the reader and voter a fascinating insight into an intriguing and public figure that none of us really know. With incisive background detail coupled with up-to-date analysis, this is a very welcome account of a private man in the most public role in Ireland. This is a must-read for anyone interested in Irish politics and current affairs – a detailed and up close and personal account of our Taoiseach and his rise to power. A refreshingly honest and revealing account of the spectacular rise to power of one of the oddest, most atypical politicians Ireland has ever known. 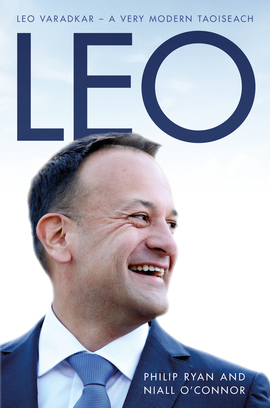 Leo Varadkar: A Very Modern Taoiseach is an absorbing read that charts the highs and lows of an extraordinary political career, replete with all the back-room intrigue and manoeuvring that propelled the son of an Indian immigrant into the highest office of the land. (This) is set to be the most important political book of 2018.